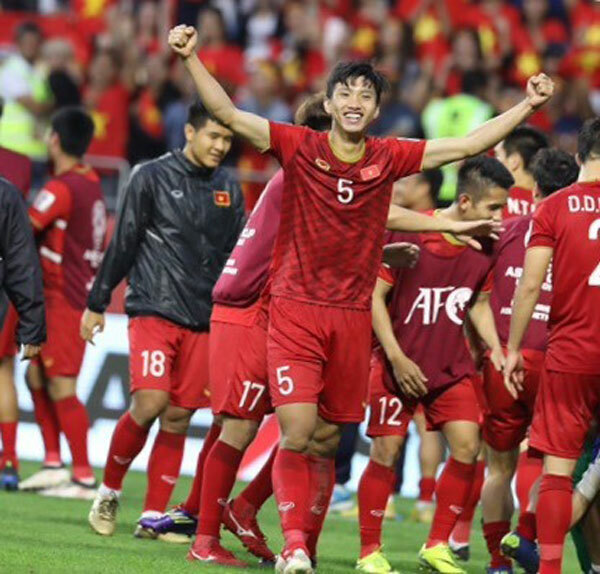 The prestigious continental sport website wrote: "Considering he is still only 19, it is remarkable how much maturity Đoàn Văn Hậu shows on the field and he was integral in Việt Nam’s stunning progress to the quarter-finals following a penalty shootout victory over Jordan. "Despite being a left wing-back, Hậu looked like his side’s likeliest source of an equaliser in the first half as he showed plenty of attacking intent and a willingness to test opposition goalkeeper Amer Shafi. "Defensively, the Hà Nội youngster also did really well to curb the influence of Jordan livewire Musa Al-Taamari, and the future continues to look exceedingly bright for the Vietnamese starlet." Hậu is a key player in Park Hang-seo’s plan. He came off the bench in the first group stage match against Iraq and then remained in the starting lineup for each of the next three matches. There is also one other Southeast Asian player in the list, Theerathon Bunmathan of Thailand, who assisted his teammate Supachai Jaided for the opening goal against China. Other players are Zheng Zhi (China), Alireza Beiranvand (Iran), Takehiro Tomiyasu (Japan), Tom Rogic (Australia), Hwang Hee Chan (South Korea), Hamad Al Shamsan (Bahrain), Bassam Al-Rawi (Qatar) and coach Marcelo Lippi of China.